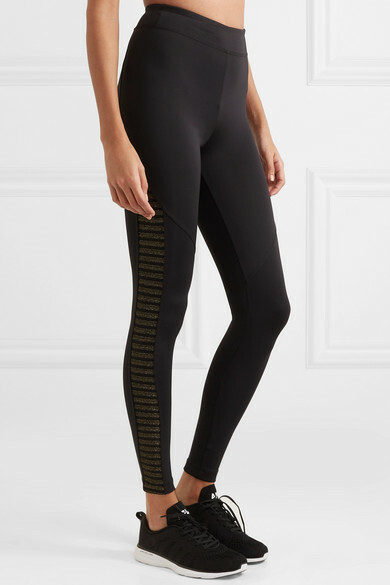 Koral's 'Chamelon' leggings perfectly embody designer Ilana Kuge's belief that "women can be strong and gentle, powerful and humble and they don't have to choose between being one or the other.” Made from soft stretch-scuba, they have a high-rise fit that will hug your body like a second skin. 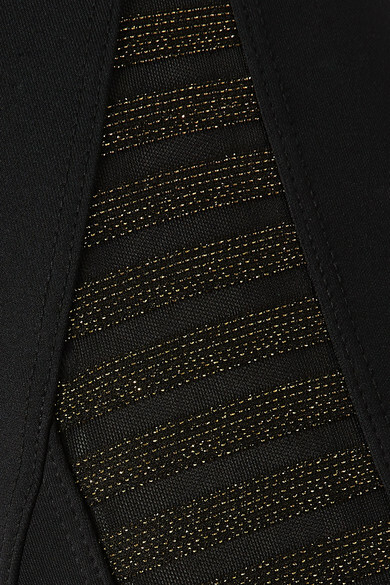 The mesh panels at the sides are subtly sheer and decorated with metallic gold stripes. Shown here with: Koral Sports bra, Koral Sweater, APL Athletic Propulsion Labs Sneakers, Bang & Olufsen Headphones.